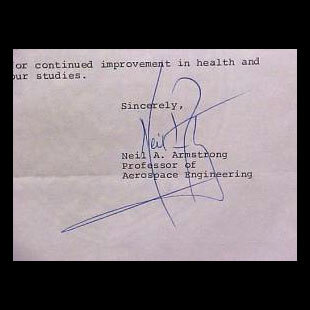 An abbreviated version of this article first appeared in the UACC magazine, 'Pen & Quill'. 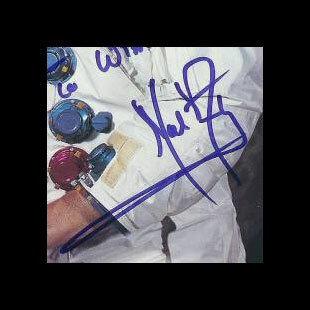 Neil Alden Armstrong, the first man to walk on the Moon, was born in Wapakoneta, Ohio in 1930. 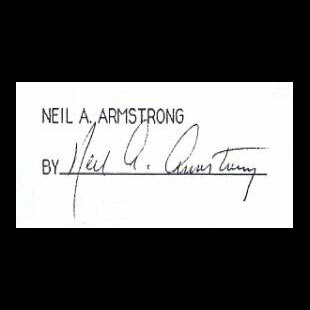 He is arguably the only living human being whose name people will recognize one thousand years from now. 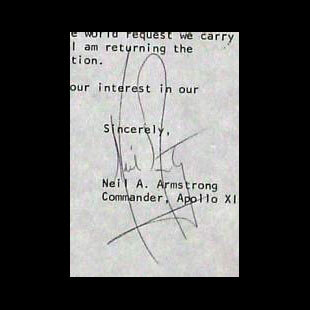 He will forever be remembered for his famous quote from the surface of the Moon on July 20, 1969: "That's one small step for (a) man, one giant leap for mankind." 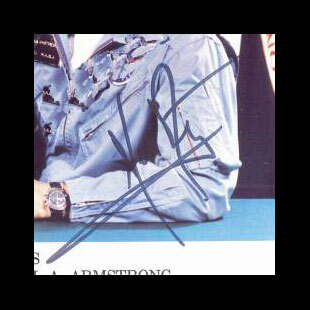 Armstrong stopped signing autographs for the general public in 1994. 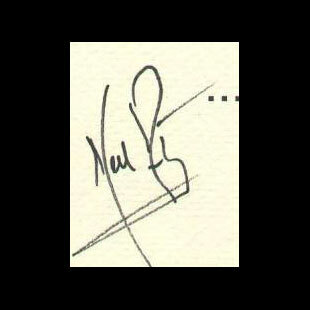 He is a very private person and rarely gives interviews. 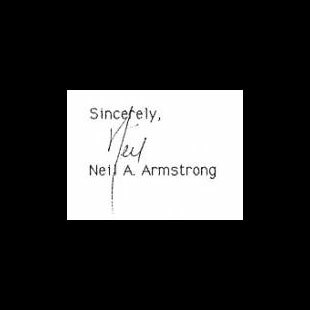 He downplays his contribution to history and typically credits the thousands of others that made landing on the Moon possible. 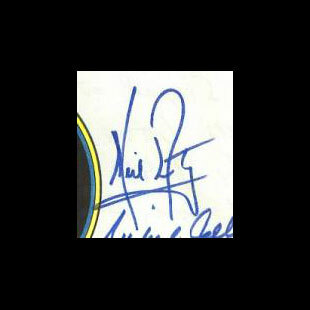 Though he has undoubtedly signed tens of thousands of items, demand continues to outweigh supply and his autograph often fetches as much as $1000. 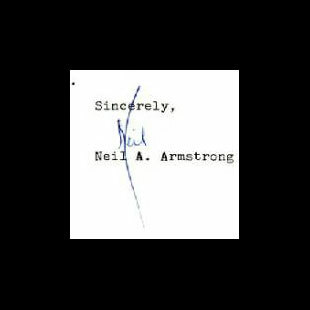 Typed letters signed (TLsS) usually sell for even more, while Apollo 11 crew signed items and signed flown items can sell for many thousands of dollars. 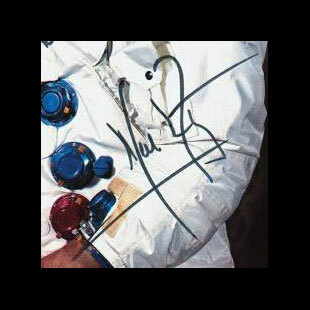 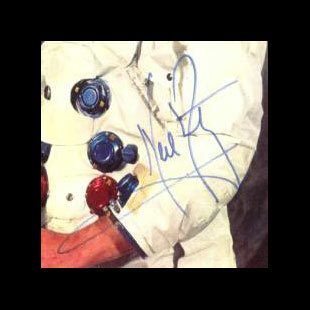 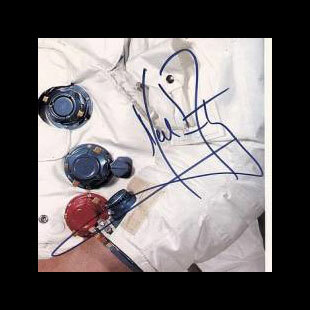 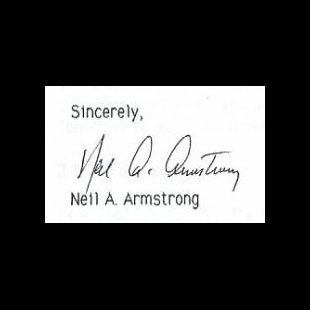 Probably the most popular Armstrong signed item is his NASA white space suit (WSS) portrait photo, which often fetches in excess of $1000 and occasionally for two to three times that amount. 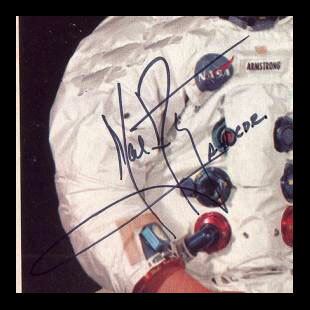 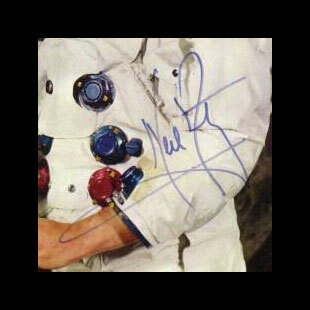 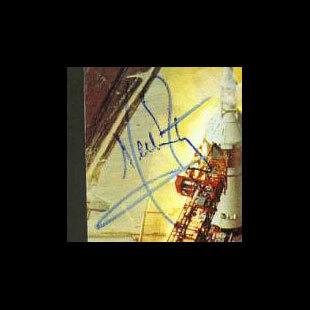 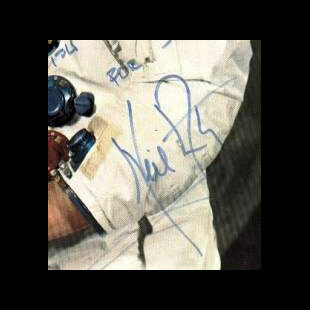 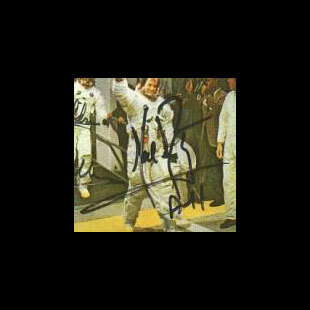 Apollo 11 crew signed photos are often bringing $5000 or more at auction. 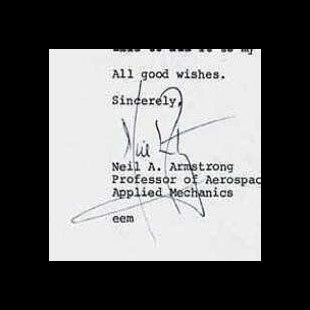 Items without personalizations are currently more in demand and sell for more, although the authors warn that unpersonalized items are by far the most often forged Armstrong autograph examples. 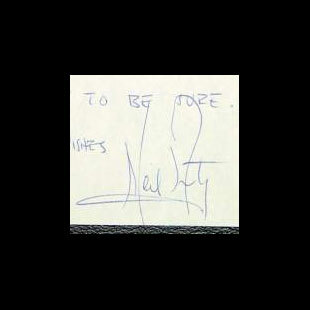 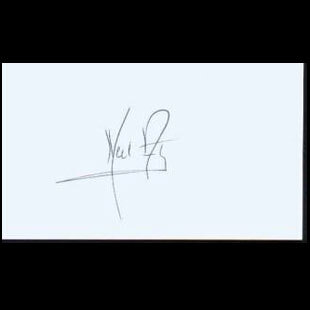 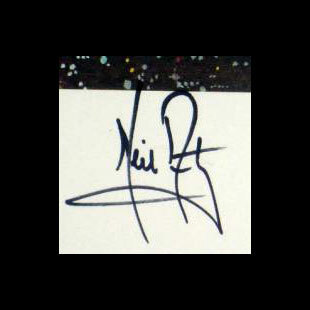 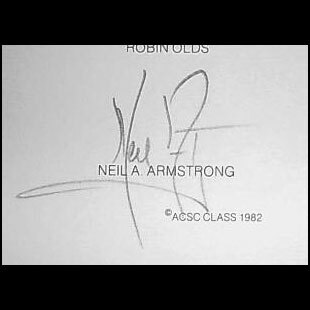 Lengthy holographic material and autograph letters signed (ALsS) are virtually non-existent. 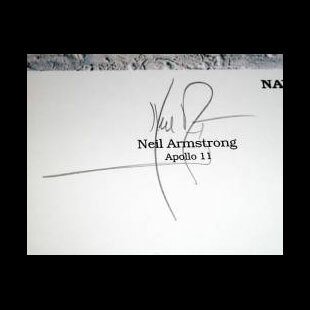 His autograph material prices are now approaching and even surpassing that of most modern comparable presidential material. 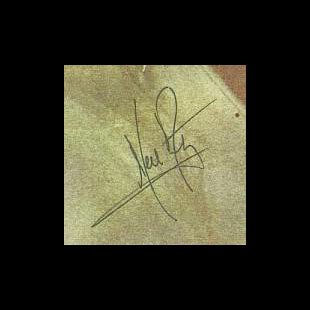 Only a handful of signature studies have been done and known autopen patterns have been published frequently. 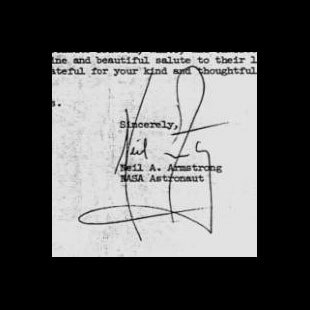 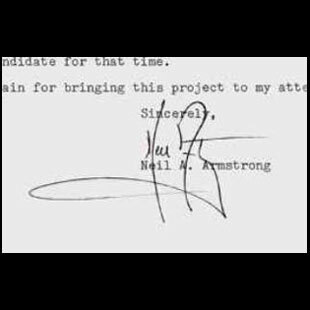 It is accepted that Armstrong never utilized secretaries to sign his name without noting such. 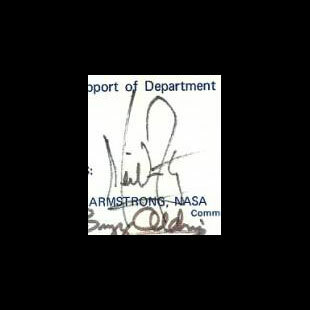 Thus, the main concern when authenticating Armstrong's autograph is forgery. 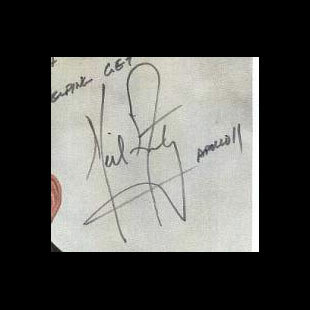 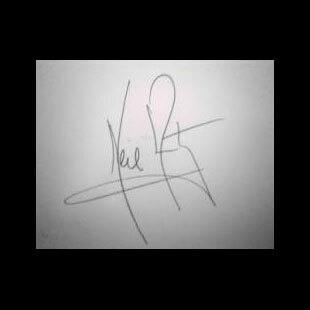 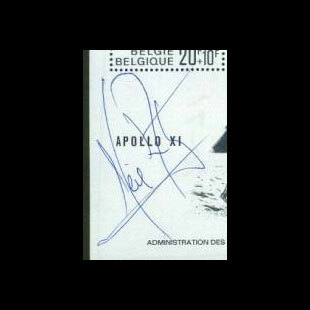 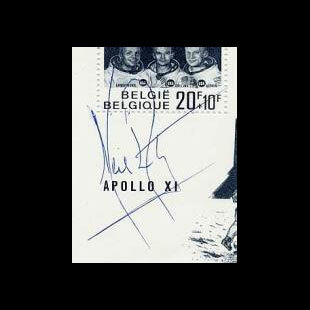 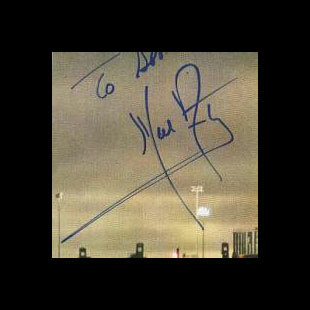 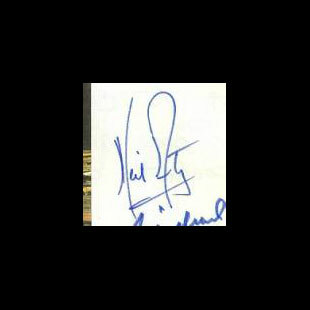 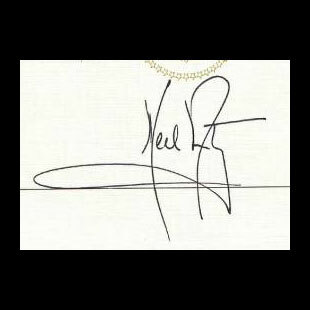 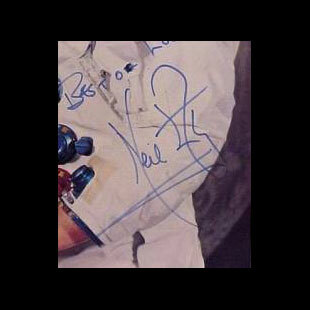 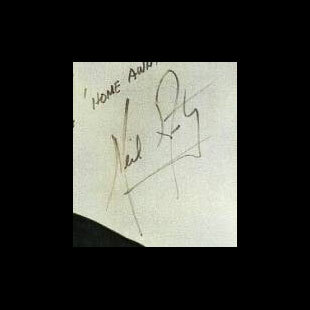 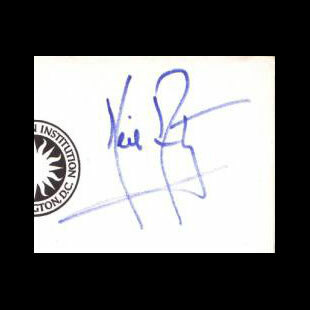 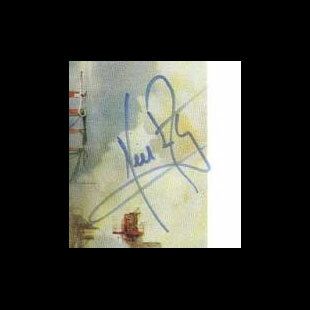 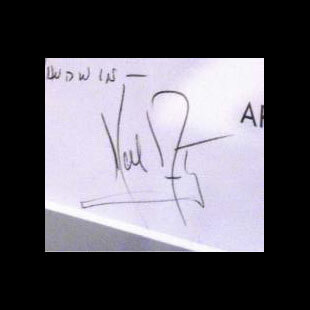 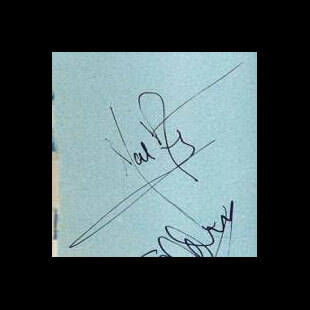 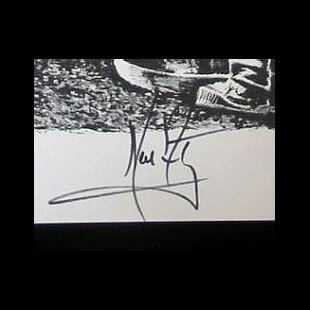 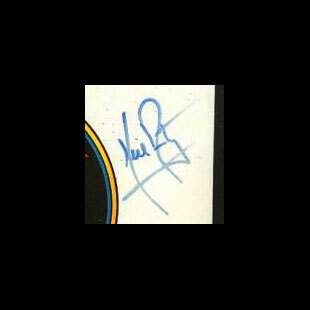 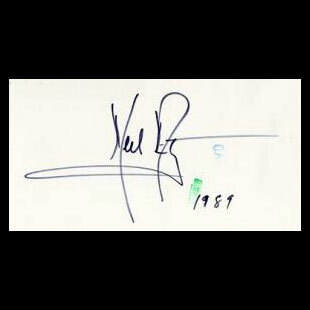 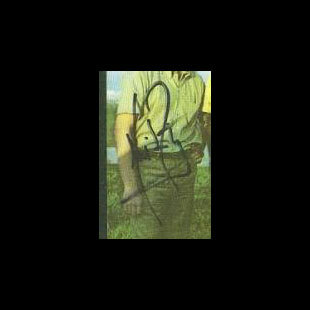 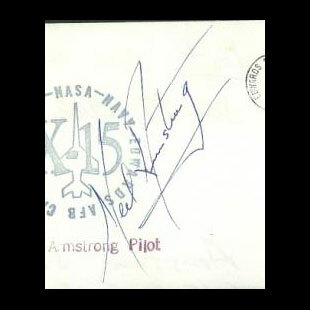 Due to the increasing value of Armstrong's autograph, forgeries are common and apparently becoming more sophisticated. 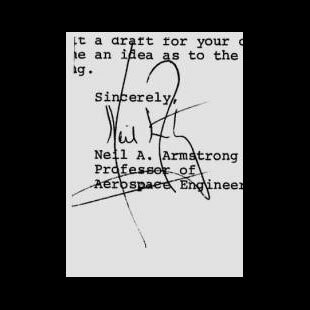 The authors feel that inadequate data is published about his autograph and that forgeries are more common than indicated by earlier authors. 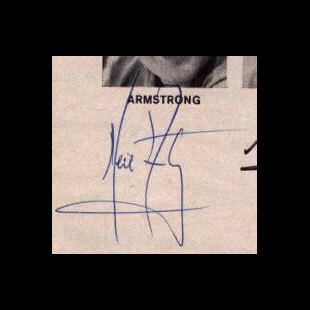 It is likely that a large percentage of Armstrong autographs now offered on the Internet are forgeries. 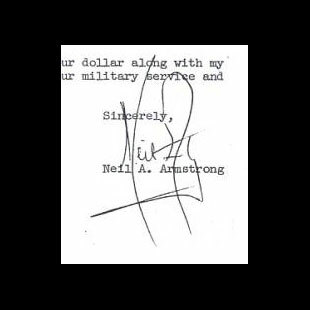 Some of these forgeries are so well done they can fool even the most experienced experts in the field. 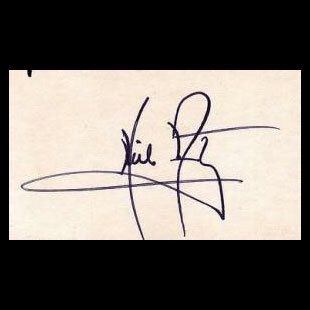 However, as even very obvious and poor forgeries on eBay occasionally sell for hundreds of dollars, it is concluded that a greater knowledge of his autograph is needed in the general collecting population. 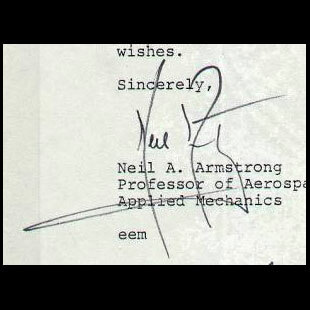 The authors advise that all Armstrong signature material be heavily scrutinized. 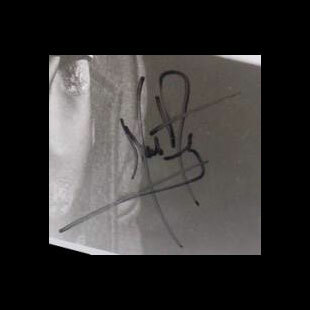 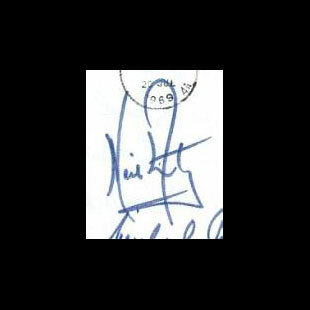 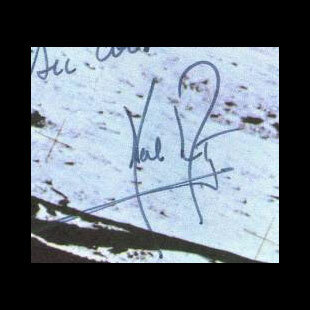 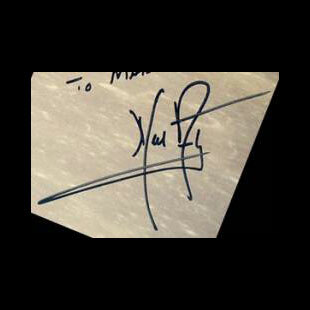 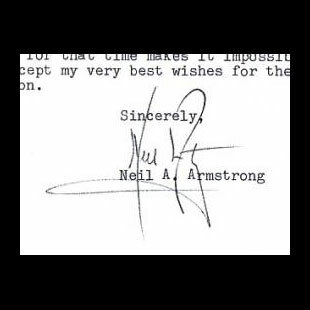 Recently identified forgeries are well executed as far as the general shape of Armstrong's autograph. 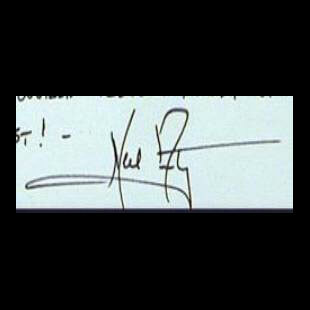 However, careful examination usually reveals slow pen speeds, shaky writing, drawn appearances, improper scale, incorrect slants, and hesitation. 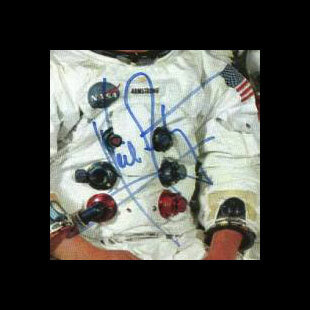 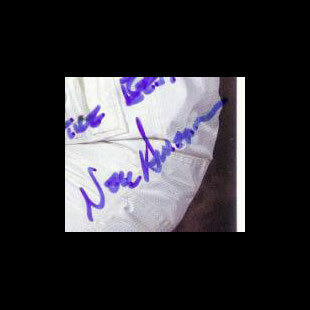 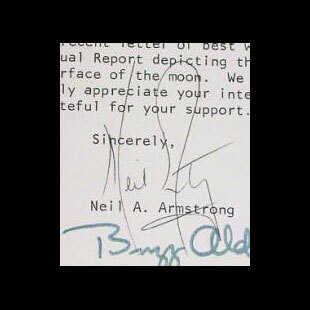 Also, Armstrong does not write on the American flag (important on white space suit signed photos). 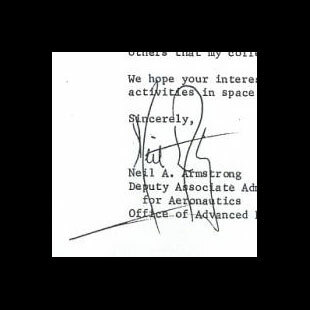 This fact was confirmed by his office. 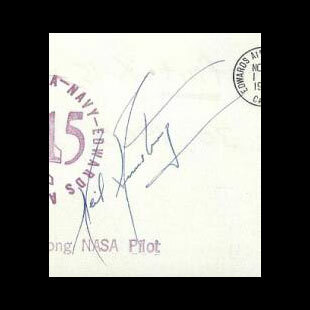 However, parts of authentic inscriptions and signatures may touch the flag perimeter. 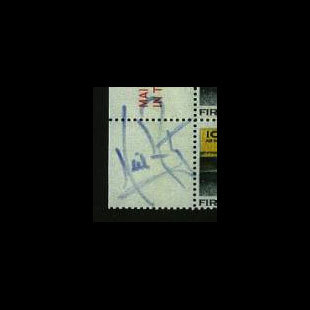 The authors are sensitive to and disappointed by the growing number of fraudulent material represented by unscrupulous dealers and Internet sellers as authentic. 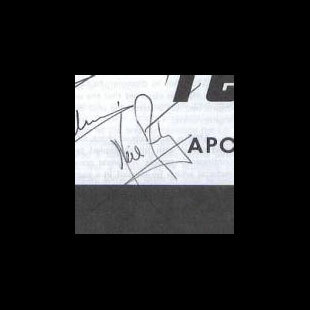 Therefore, much care was taken to exclude questionable material from this article. 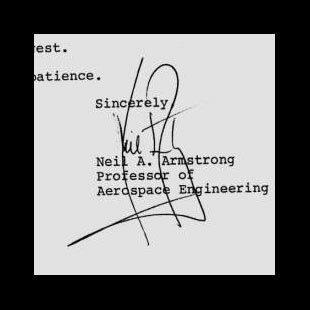 Since forgeries are common, the authors have followed other autograph study designs and compiled data by highest credibility sources first. 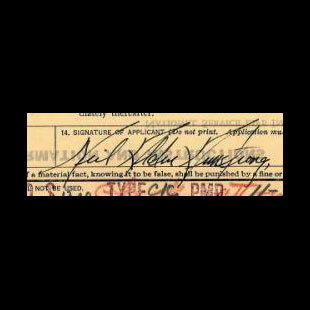 Limited edition commercial/charity signings are known to be authentic as well as the vast majority of typed letters signed and signed documents. 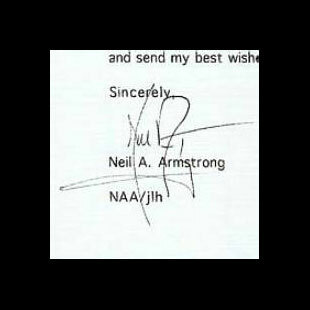 Other credible sources of authentic signatures are examples obtained in-person from Armstrong and those obtained from through the mail signings. 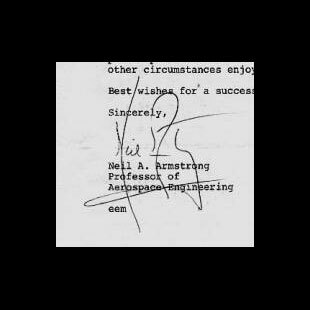 Armstrong signed through the mail for over 35 years and as mentioned did not utilize secretaries to sign for him. 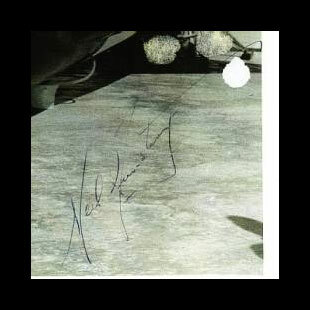 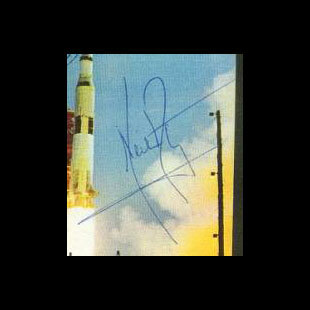 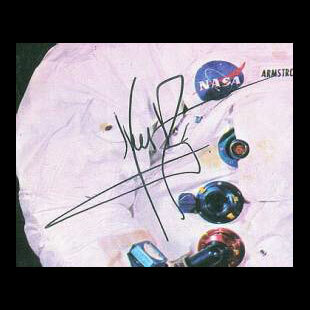 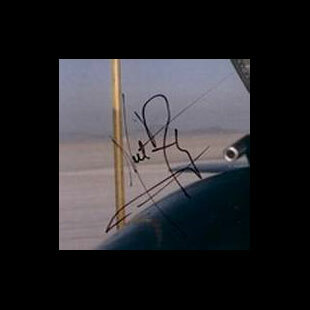 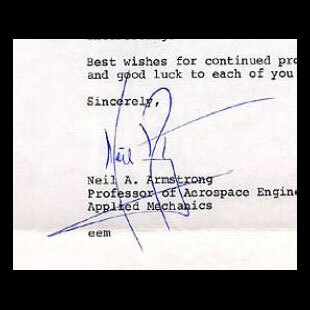 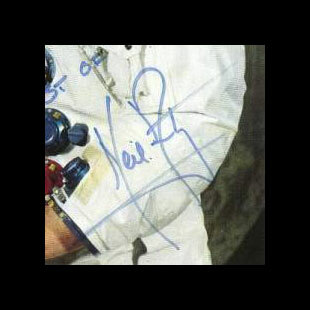 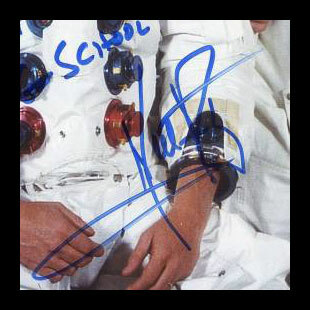 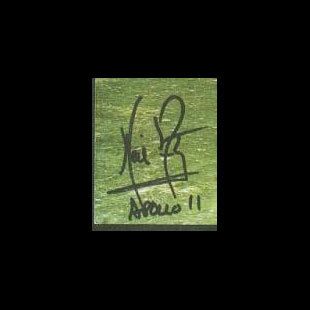 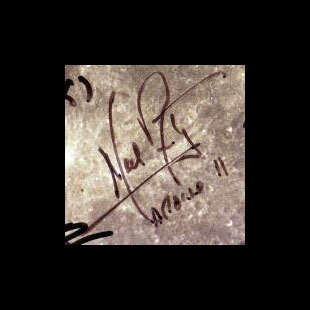 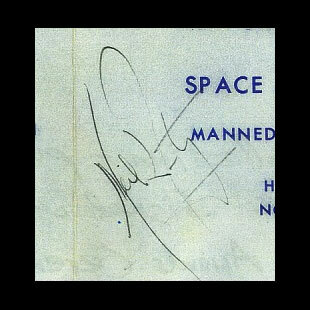 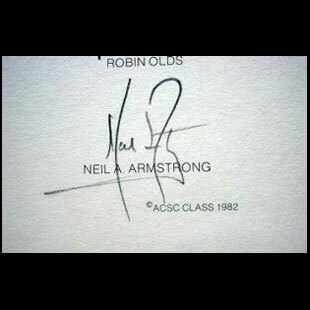 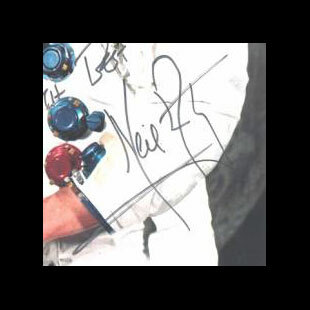 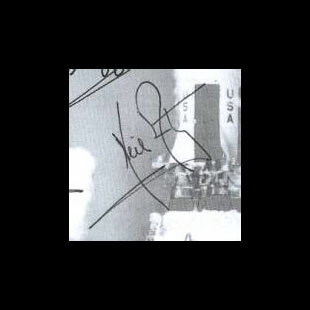 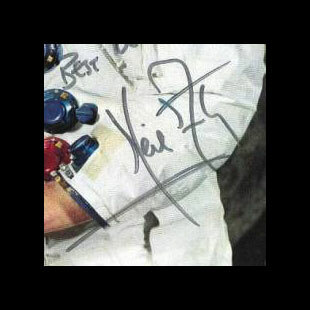 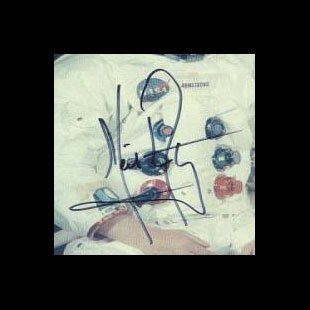 Like most celebrities, Armstrong's autograph has changed through time. 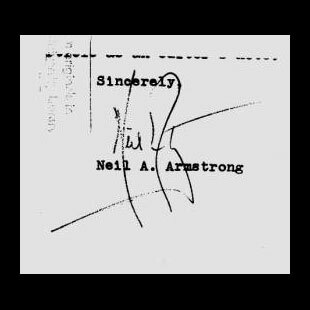 Therefore, we have listed material chronologically. 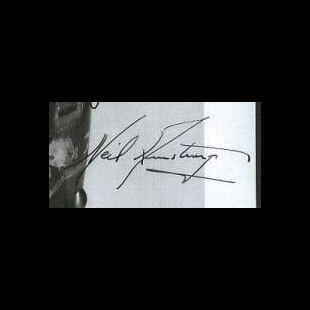 The authors of this study include dedicated collectors and dealers that have seen and handled many signed items in their careers. 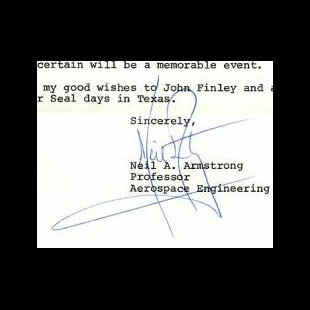 In addition, several well-known collectors and dealers were contacted to provide data. 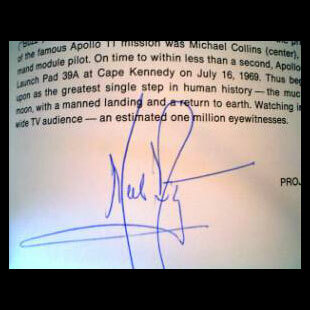 The authors independently reviewed all items. 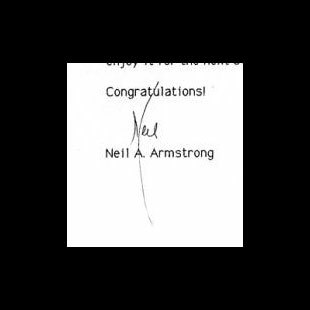 Web links and banners that may have directed readers to this guide do not imply an endorsement of the services or information presented on the linking websites unless specifically stated. 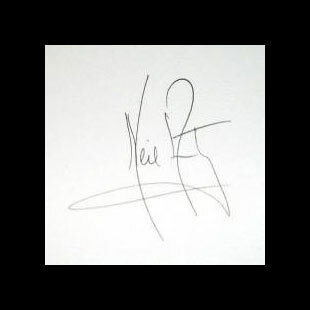 This site does not take responsibility for purchases or bids placed as a result of the information presented on these pages.